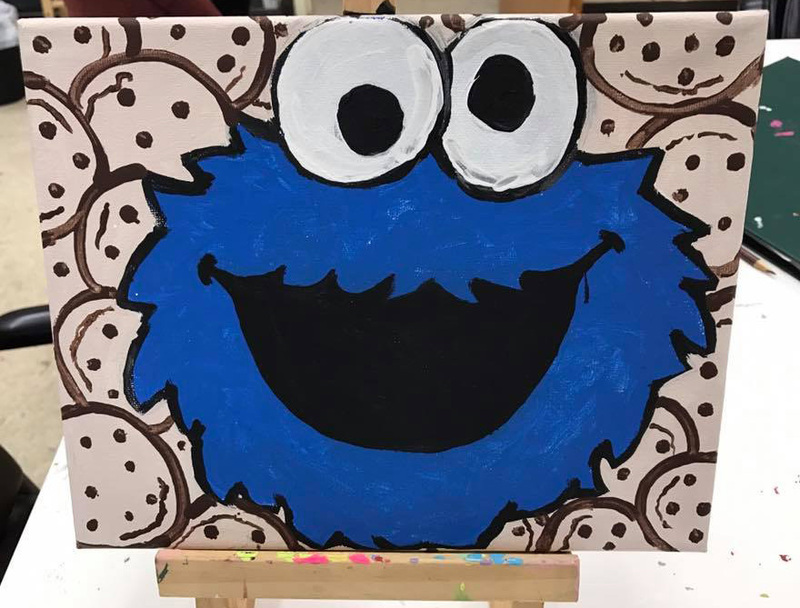 Chris’ love of cookies yielded a Cookie Monster painting. Tracey has a penchant for fairies. Spring inspired Sophie’s butterfly print. 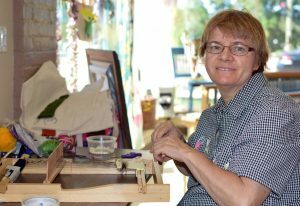 These artists are painting, sculpting and sketching in the growARTS program at Garden Center Services in Chicago, a provider of daytime and residential services for adults with intellectual and developmental disabilities. GrowARTS started about eight years ago when a volunteer introduced art activities. “All of a sudden, we saw the untapped skills that some of our individuals had,” said Garden Center Services Executive Director Gerry Beagles. The center started selling the paintings at annual fundraising events, where they became a popular item. Quickly, the program grew from a volunteer-supported program to one led by a full-time hired position, he said. 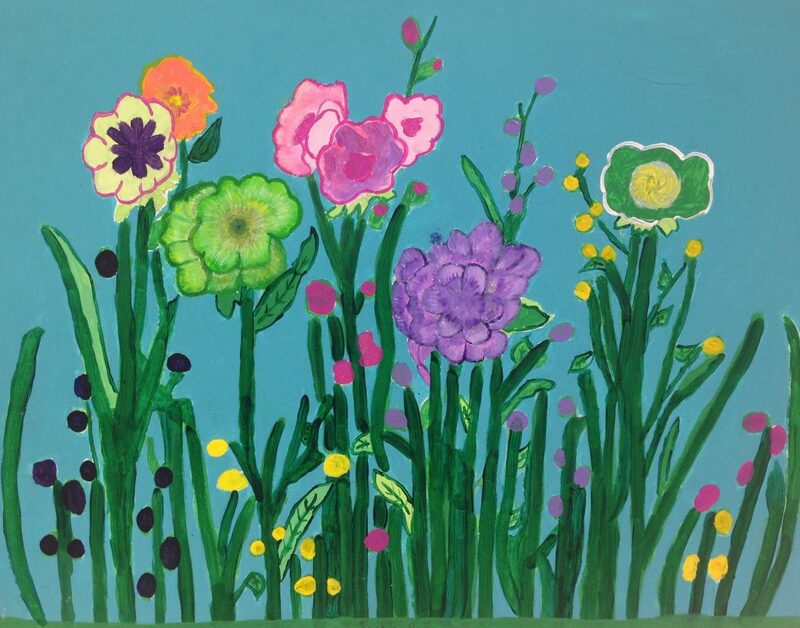 “Some of the parent/guardians of the individuals are blown away by what their adult child is creating. They just never had an awareness that [their child] had the skillset, vision and patience to create the art that they are selling,” said Beagles. “It was cool to see folks so often in a situation of not receiving that type of praise or being given praise too easily … literally producing these pieces of artwork that are so unique,” he said. 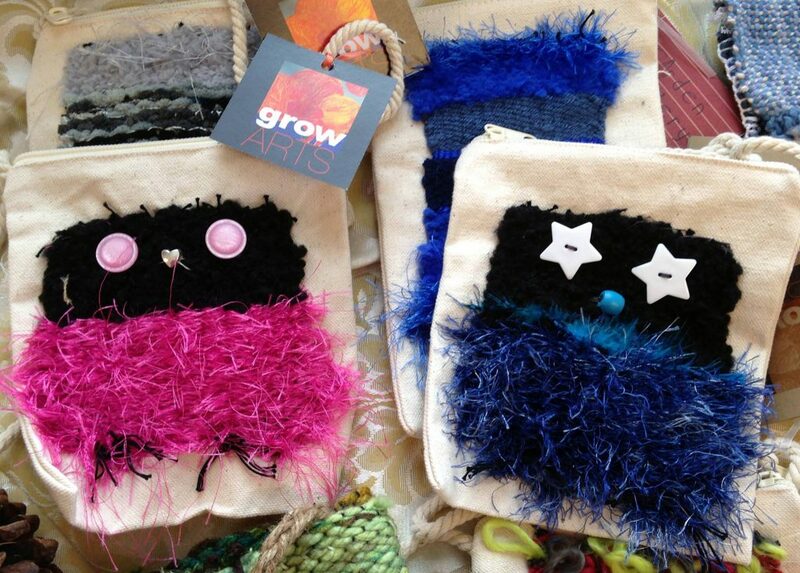 In addition to paintings and sculptures, the artists use looms to make intricate yarn designs to stitch onto purses, and transfer images of their drawings onto T-shirts and canvas totes. They’ve created microbusinesses selling candles, soaps and greeting cards online. 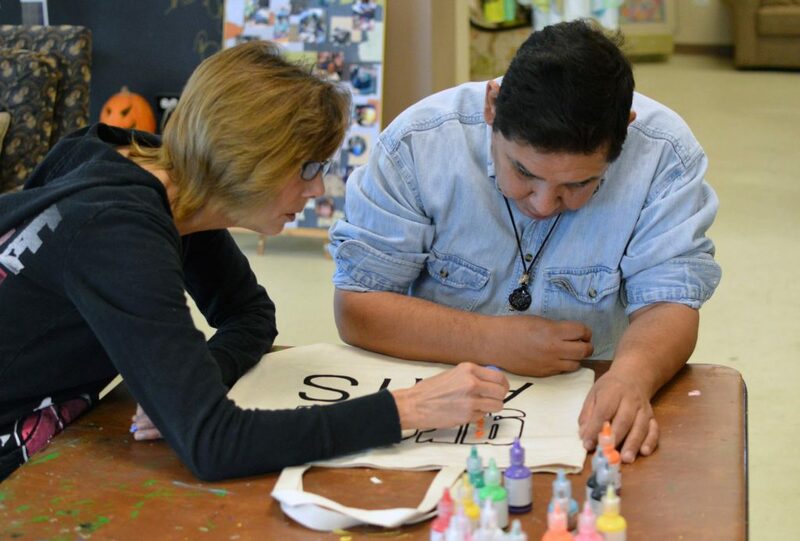 One of the center’s employees, Sylvia Wisniewski, works on getting to know the individuals and how they can channel their interests into their art. 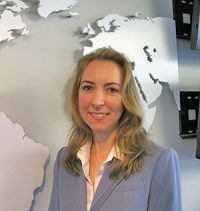 Megan Valesey, behavior specialist and art director, helps the artists build their technical skills and work around any mobility issues they might have. Some of the artists are unable to express themselves verbally, said Valesey, so the art gives them another outlet for expression. “These people aren’t different, they’re just experiencing different things in their life,” she said. The artists gain inspiration from visiting local art museums and galleries. At one time, the center had its own standalone studio, which it had to close due to lack of funding. Instead, the artists’ works are displayed at monthly pop-up art sales, or sold in shops. The artists get a percentage of the sales in the form of a paycheck, which they like to spend on going out to dinner or fancy coffees, “just like you and me,” said Valesey. The program also helps develop social skills, she continued. “A lot of the individuals we support struggle with how to interact with their peers and with individuals in the community. One of the great things about selling the art is they interact with all sorts of individuals and build friendships with strangers” in a supportive community, said Valesey. The next Art for Independence pop-up sale is the evening of June 16. View our Social Entrepreneurship profiles and tweet us your suggestions for more groups to cover.